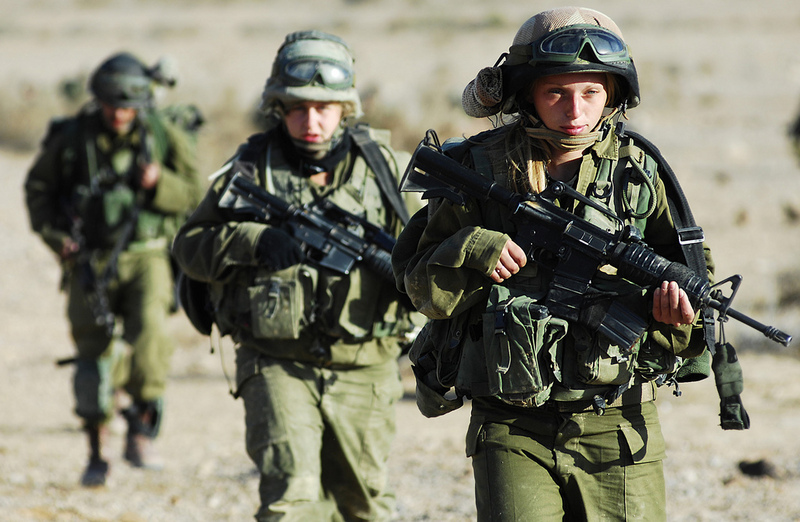 Israeli soldiers in training. By the Israel Defense Forces. A wave of research has emerged in recent years exploring public attitudes towards human rights issues, from opinions on particular rights violations to attitudes towards human rights organizations. One perspective remains conspicuously absent, however: that of the members of state armed forces. Contemporary conflict is typically waged among civilians, in dense urban quarters or remote rural areas. Soldiers who participate in conflict are therefore at a heightened risk of witnessing or being implicated in human rights violations. How does the experience of combat affect soldier attitudes towards civilians, human rights groups and conflict resolution? These questions are important, as former soldiers are often an influential group, whether due to their sheer number or to their greater political credibility on matters related to security. Policymakers tend to view former combatants as a potentially destabilizing force, with access to skills, arms and networks that make them more likely to engage in violence. This perception has led to the proliferation of Disarmament, Demobilization and Reintegration (DDR) programs, viewed by the UN as a vital step in the initial stabilization of war-torn societies. Yet evidence for this perception remains elusive. Assessing the effect of combat on attitudes presents a thorny methodological problem, as men who become combatants may differ systematically in their attitudes from those who do not. If such pre-existing differences exist, it becomes difficult to isolate the effects of combat on political attitudes. In a study published in International Organization, we investigate the effects of combat on attitudes towards conflict, conflict resolution and human rights organizations among veterans of the Israeli military. The attitudes of ex-combatants matter for Israeli politics, as mandatory conscription laws mean that former combatants form a substantial sector of the public. We conducted an original online survey of 2,334 combat and non-combat Israeli veterans who served between 1999 and 2012. We overcome the methodological issues associated with comparing combatant and non-combatant attitudes by using statistical techniques that employ an additional variable, in this case, the medical eligibility of individuals for combat service. Since medical eligibility predicts combat service but not political attitudes, we are able to isolate the effects of combat from that of other factors shaping soldiers’ decision to enter combat units in the first place. We asked respondents for their attitudes on a variety of issues related to the Palestinian-Israeli conflict. For example, we asked whether, in the context of a negotiated peace agreement, they would consider territorial withdrawal, division of Jerusalem, or reparations to Palestinian refugees. We also asked whether respondents believed Palestinians were partners for peace, what was their preferred solution to the Israeli-Palestinian conflict, and whether they supported Israeli settlements in the West Bank. Finally, we asked whether Israeli human rights monitoring groups, such as B’tselem and the Association for Civil Rights in Israel (ACRI), which report regularly on violations of Palestinian rights in the Occupied Territories, should be legally restricted (as proposed recently in the Israeli parliament), or allowed to operate freely. Our time frame included two very different types of combat exposure: the Second Intifada, and the years following the Israeli military’s withdrawal from the Gaza Strip in the summer of 2005. During the Second Intifada, Israeli troops spent nearly all of their deployment in the West Bank and Gaza, and were exposed to high levels of violence as perpetrators, victims and witnesses. Combatants in subsequent years, by contrast, had far less prolonged and direct military engagement with Palestinians. According to data from Israeli rights group B’tselem, Israeli casualties between 2006 and 2012 dropped by 90% from the previous period. Although numbers of Palestinian fatalities remained high, many were killed by Israeli air and artillery strikes rather than by ground troops operating in close quarters. The 1999-2012 timeframe thus allowed us to assess whether combat intensity shapes combatant attitudes. We found that ex-combatants who served in the Second Intifada are, on average, substantially and significantly less supportive of peaceful conflict resolution than non-combatants from the same period. They are significantly less likely to support territorial withdrawal as part of a peace agreement, to believe that Palestinians are partners for peace, and to support conciliatory solutions to the conflict. They are also significantly more likely to support Jewish settlements in the West Bank, and rank themselves as more hawkish on a right-left scale. Finally, they appear more supportive of restricting NGO activity, though that effect does not quite reach statistical significance. In contrast, ex-combatants who served after 2005 do not for the most part differ from non-combatants in their attitudes. In other words, it was participation in intense, face-to-face military activities against Palestinians that led to increased skepticism of human rights-related themes. We also found that ex-combatants from the Second Intifada were substantially and significantly more likely to vote for harder-line political parties. This effect is quite large, translating into a shift of nearly an entire party to the right on a left-right political scale of parties. It is also remarkably durable, persisting nearly a decade after release from service. We estimate that eight cohorts of combatants that served during all or part of the Second Intifada translate into five to six parliamentary seats, a number that can exercise considerable influence in Israel’s polarized political arena. Why does intense combat exposure cause such a substantial hardening of political attitudes? We find suggestive evidence that former combatants are far more prejudiced against Palestinians than former non-combatants, and are also more likely to feel that ending the military occupation of the West Bank would pose an existential threat to Israel’s security. This is consistent with research in social psychology that links both prejudice and threat to exclusionary attitudes and support for aggressive behavior, providing some insight into why intense combat reduces, on average, support for negotiated solutions and compromise. Our study has implications for both Israeli-Palestinian relations and for conflict resolution more generally. In the Israeli context, it suggests that mandatory conscription has had far-reaching political effects that are not yet well documented or understood. Individuals who are socialized into violent conflict at formative periods of their lives can be deeply affected by that experience in many ways, including in their political attitudes and behavior. Given the size and impact of the Israeli ex-combatant population, peace-building efforts should take its experiences into account. More generally, our findings underscore the importance of combatant reintegration programs in reducing inter-group hostility, fostering respect for human rights, and creating the foundation for a viable, durable peace. Devorah Manekin is an Assistant Professor at the School for Politics and Global Studies at Arizona State University. Guy Grossman is an Assistant Professor of Political Science at the University of Pennsylvania. Dan Miodownik is a Senior Lecturer of Political Science and International Relations at the Hebrew University of Jerusalem. 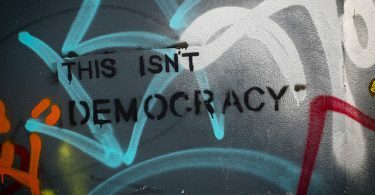 This piece was originally posted at Open Democracy. It would be interesting to see how this compares with data from combatants in the first intifada and the Lebanon war? Is there a failed peace process effect here? I haven’t read the whole study, but did you factor in the hard-right shift in Israel that took place across the board in that period? Clearly your comparison between combatants and non-combatants addresses this, but it made me curious whether combat service amplifies attitudes or shapes them.